Rizal, officially known as the Province of Rizal (Filipino: Lalawigan ng Rizal), is a province in the Philippines located in the Calabarzon region, just 16 kilometres (9.9 mi) east of Manila. The province is named after José Rizal, one of the main national heroes of the Philippines. Rizal is bordered by Metro Manila to the west, Bulacan to the north, Quezon to the east and Laguna to the southeast. The province also lies on the northern shores of Laguna de Bay, the largest lake in the country. Rizal is a mountainous province perched on the western slopes of the southern portion of the Sierra Madre mountain range. 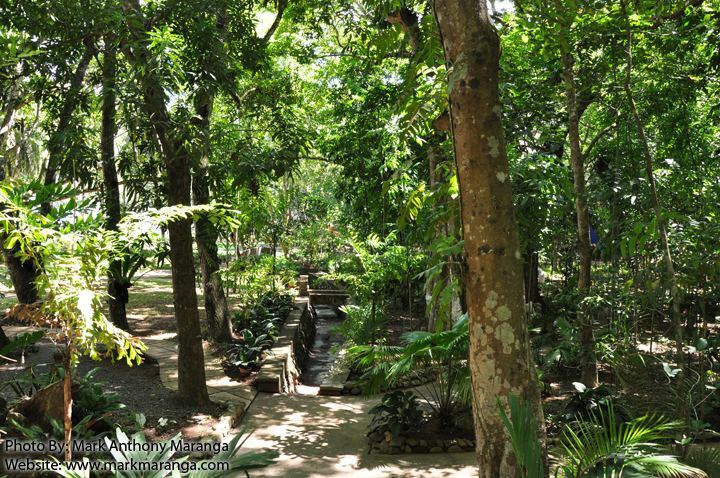 Antipolo offers a panoramic view of Metro Manila and is the location of the Hinulugang Taktak, a waterfall attraction. Tagalog settlement arrived some time in the pre-Spaniard period. The provincial territory began with the organization of the Tondo province and Laguna province during the Spanish administration. Some of the towns like Pasig, Parañaque, Taytay and Cainta were already thriving. From the reports of the Encomiendas in 1582-1583, the Encomiendas of Moron (Morong) was under the jurisdiction of La Laguna and, the Encomiendas of Passi (Pasig), Taitay (Taytay) and Tagui (Taguig) belonged to the Province of Tondo. It was recorded that in 1591, the Encomiendas of Moron and Taitay were under the jurisdiction of the Franciscan Order in the Province of La Laguna; and the Encomiendas of Nabotas (Navotas), Tambobo (Malabon), Tondo, Parañaque (then La Huerta, Parañaque), Longalo (Don Galo, Parañaque), Tagui and Pasig were under the jurisdiction of the Augustinians in the Province of Tondo. In 1853, a new political subdivision was formed. This consisted of the towns of Antipolo (now a city), Bosoboso, Cainta and Taytay from the Province of Tondo; and the towns of Morong, Baras, Tanay, Pililla, Angono, Binangonan and Jalajala from the Province of La Laguna, with the capital at Morong. This district was later changed to Distrito Politico-Militar de Morong after four years. In 1860, by virtue of Circular No. 83, dated September 2, 1859, the Province of Tondo became the Province of Manila. All its towns were placed under the administration, fiscal supervision and control of the Governor of the new province. The town of Mariquina (Marikina) became the capital of the Province of Manila during the tenure of the revolutionary government of Gen. Emilio Aguinaldo. The Province of Morong had for its capital the town of Antipolo for the period 1898-1899, and the town of Tanay for 1899-1900. On February 6, 1901, the First Philippine Commission sought to establish civil government in the country through a provincial organization act after the Filipino-Spanish and Filipino-American conflicts. Therefore, on June 5, 1901, a historic meeting was held at the Pasig Catholic Church for the organization of a civil government in the Provinces of Manila and Morong, with 221 delegates in attendance. The first Philippine Commission, headed by William Howard Taft and composed of Commissioners Luke E. Wright, Henry C. Ide, Bernard Moses and Dean C. Worcester, discussed with the Assembly the issue of whether or not to write the Province of Manila with Morong Province, was not self-sufficient to operate as a separate province. 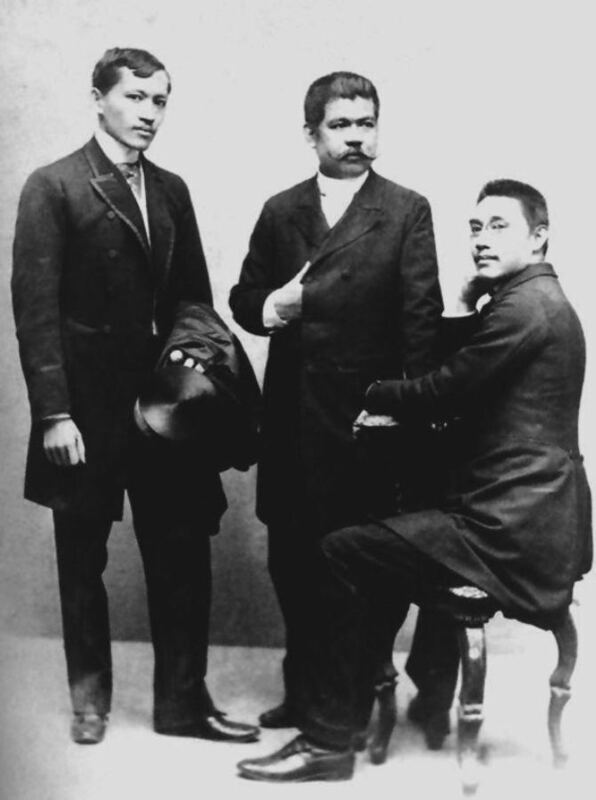 Although the delegates from Morong, Hilarion Raymundo and José Tupas, objected to the proposal, Juan Sumulong of Antipolo strongly advocated the move. After much acrimonious debate and upon the suggestion of Trinidad H. Pardo de Tavera the body agreed on the creation of a new province independent of the Province of Manila. The new province was aptly named after Jose Rizal, the country's national hero. On June 11, 1901, the province of Rizal was officially and legally created by virtue of an Act No. 137 by the First Philippine Commission which during the time was acting as the unicameral legislative body in the island of Luzon. The new province was composed of 29 municipalities, 17 from the old Province of Manila (Caloocan, Las Piñas, Mariquina (Marikina), Montalban (Rodriguez), Muntinlupa, Navotas, Novaliches, Parañaque, Pasig, Pateros, Pineda (Pasay), San Felipe Neri (Mandaluyong), San Juan del Monte (San Juan), San Mateo, San Pedro Macati (Makati), Taguig, Tambobong (Malabon)); and 12 from the Politico-Militar District of Morong, (Angono, Baras, Binangonan, Cainta, Antipolo, Cardona, Jalajala, Morong, Pililla, Tanay, Taytay and Teresa). The City of Manila from the old Province of Manila was treated as a separate entity. The seat of the provincial government was Pasig. In year 1939, Quezon City was established, which included parts of Caloocan, and later on, Novaliches and parts of Marikina and San Juan towns. During World War II, Japanese fighter and bomber planes rained explosives on the province in December 1941. Japanese Imperial troops invaded Rizal in 1942 at the onset of the Japanese Occupation. The establishment of the General Headquarters of the Philippine Commonwealth Army and Philippine Constabulary went the military stationed in Rizal from January 3, 1942 to June 30, 1946 against the Japanese Occupation. Many Rizaleños organised themselves into a resistance movement, grouped in some places as the Hunters ROTC and the Marking's Filipino-American Troops (MFAT) in guerrilla camps in the province's mountains. The guerrilla forces also aided Filipino soldiers in the Philippine Commonwealth Army and American troops in fighting the Japanese troops. The local military unit of the Philippine Commonwealth Army was active from January 3, 1942 to June 30, 1946, while the local unit of the Philippine Constabulary was active from October 28, 1944 to June 30, 1946. United States forces had liberated parts of Luzon by January 1945. During the Allied Liberation that lasted until August that year, the combined U.S. and Philippine Commonwealth military ground troops aided the local Rizaleño Hunters ROTC and MFAT. Through Presidential Decree № 824, Rizal was partitioned on 7 November 1975 to form Metro Manila. The municipalities of Las Piñas, Parañaque, Muntinlupa, Taguig, Pateros, Makati, Mandaluyong, San Juan, Malabon, Navotas, Pasig and Marikina, and the three cities of Caloocan, Pasay and Quezon City were excised to form the new region, while the other 14 towns remained in Rizal. Rizal Governor Dr. Casimiro Ynares III on June 17, 2008 announced the transfer of the Capitol from Pasig. Its ₱ 270-million capitol building, constructed in Antipolo by Ortigas & Co., owner thereof, was completed by December of that year. Built on 5-hectare lot at the Ynares Center, it employs 2,008 employees. The New Capitol was successfully inaugurated on March 4, 2009, bringing back the Capitol Building inside the provincial territory, from which it was absent for 33 years (when Pasig was incorporated into Metro Manila). Rizal covers a total area of 1,191.94 square kilometres (460.21 sq mi) occupying the northern-central section of the Calabarzon in Luzon. The province is bordered on the north by Bulacan, east by Quezon, southeast by Laguna, south by the Laguna de Bay, and west by Metro Manila. Located 20 kilometres (12 mi) east of Manila, commuters take approximately an hour to reach the provincial seat which is at Antipolo. Generally hilly and mountainous in terrain, most of the province's southern towns lie in the shores of Laguna de Bay, the country's largest inland body of water. The province has an area of 1,191.94 square kilometres (460.21 sq mi). Talim Island, the largest island situated within the Laguna de Bay is under the jurisdiction of the province. Rizal comprises 13 municipalities and 1 city. The population of Rizal in the 2015 census was 2,884,227 people, with a density of 2,400 inhabitants per square kilometre or 6,200 inhabitants per square mile. Roman Catholicism is the predominant religion with about 80 percent adherence (Diocese of Antipolo, [Catholic-Hierarchy], 2004). Various Christian groups exist such as Aglipayan Church, Born-again Christians, Jesus Is Lord Church, Iglesia Ni Cristo, Jehovah's Witnesses, Baptist, Church of Christ of Latter Day Saints, El Shaddai (movement) Methodists, Presbyterians, Seventh-day Adventist and other Evangelical Christians. Muslims and other Non-Christians are also present. Before the 1990s, the primary source of economy in Rizal province were the huge piggery estates owned by Manila-based families. In the recent years, the province became one of the most progressive provinces in country, owing to its proximity to Metro Manila, the economic center of the Philippines. Antipolo, Taytay and Cainta serve as the economic centers of the province, while Angono, Rodriguez, Morong, San Mateo, Tanay, Binangonan and Teresa are taking successful steps to urbanize areas within their jurisdiction. Other areas of the province are having difficulty to start the urbanization process, mainly because of the lack of main roads to connect these to economic centers. In a study recently conducted by the National Statistics Coordination Board (NSCB), Rizal province came out to be the Philippines' least poor province with a poverty incidence rate of 3.4%, even lower than that of the National Capital Region or Metro Manila.. In April 23, 2013, the National Statistics Coordination Board (NCSB) reported that Rizal, from being the least poor province in poverty incidence moved down to the 3rd Place, with Cavite taking over as the least province by 4.1% (compared to Rizal's 7.6%) and Laguna for 2nd with 6.3%. Antipolo, the province's capital city, is the center of trade and exchange, tourism, government and economy. It is also a center of education and sports because of the availability of various educational and physical training facilities. Acclaimed of its scenic attractions, the city also produces agricultural products such as cashew nuts and rice cakes. Taytay, the province's center of garment and textile manufacturing, is also the town where the country's largest mall operator runs a store near the town center. Meanwhile, Cainta serves as the center of business-process outsourcing (BPO) businesses in the province, aside from being known for the presence of several shopping centers and delicacies such as bibingka or rice cakes. 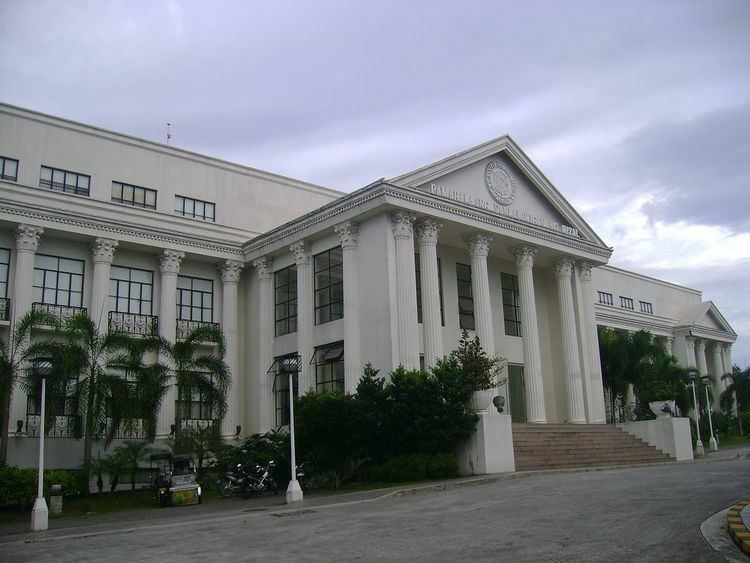 The provincial legislature or the Sangguniang Panlalawigan is composed of ten elected members. Four members are elected from each of the province's legislative district, while each of Antipolo's legislative district elect a single member.